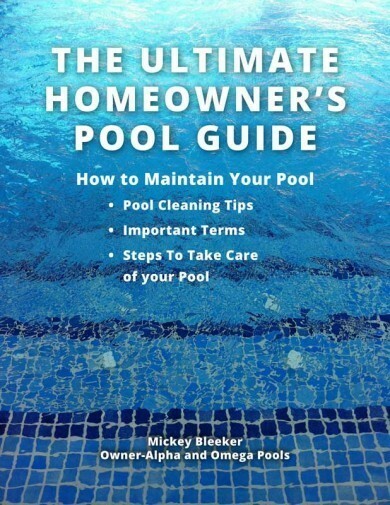 Thank you for downloading the Ultimate Homeowner’s Guide to maintain your pool! Rest assured! Your Alpha and Omega Pool Specialist is available to answer all of your questions about pool cleaning, pool products and any pool pump malfunctions/motor breakdowns. There’s only way to know for sure if you’ve been doing your pool maintenance correctly…whether or not the pool water looks dirty or clean. The best way to know for is to Contact Us for your first-time maintenance so that we can cover your custom, pool cleaning routine and answer any questions you have about pool chemicals. To request more information or to sign up for pool cleaning and maintenance, contact us through the form below. Alpha and Omega Pools will call you within 12 hours of your submission.